Isolated beaches, quaint fishing villages and sunny weather, there are many reasons why you’d want to visit the gorgeous Greek islands. But, with so many fantastic destinations to choose from – such as Crete, Santorini, Zante, Rhodes and Corfu – deciding where to go in Greece can be a challenge. With this, we’ve looked into the lesser-known islands that you may not have considered visiting. Enjoy a relaxing yet memorable holiday in authentic Greece, whether you’re travelling with friends, as a family or as a couple. Here are some of the off the beaten track Greek islands you should visit. Dusted with fishing villages, lush, green natural parks and wild beaches, Kefalonia is a great destination for exploring and unwinding along the shore. This island is where you’ll find the huge 11th-century Medieval Castle of St George on a hilltop near to Argostoli, spectacular sunsets in Lassi and the lush Mount Ainos National Park. For stunning views visit Sami, Assos or Argostoli. Kefalonia is the largest island on the shores of the Ionian Sea and is close to mainland Greece. 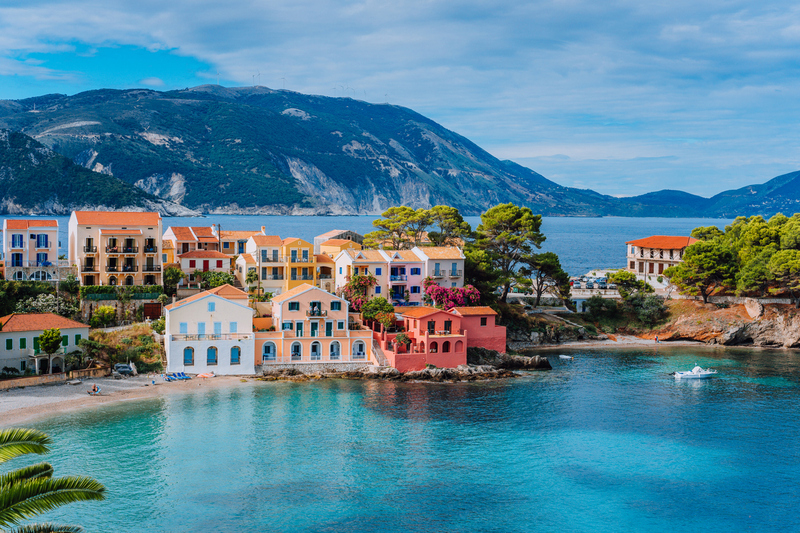 With striking landscapes, sandy and pebble beaches to explore, as well as lots of activities around this beautiful island, Kefalonia is a great destination for families. Off the crystal blue shores of the Aegean Sea, the Sporades islands are famous for their thriving marine life where snorkelling and lounging on the beaches are a must do activity. Skopelos is one of the most popular islands in the archipelagos for its stunning, pine tree hills, scaling cliffs and colourful fruit orchards. Often paired up with its neighbour Skiathos, Skopelos Town is a sleek myriad of flashy yachts, traditional fishing boats and whitewashed, terracotta-roofed buildings. This is the largest island in the Sporades where over 120 Byzantine churches, monasteries and basilicas are speckled through the green setting. 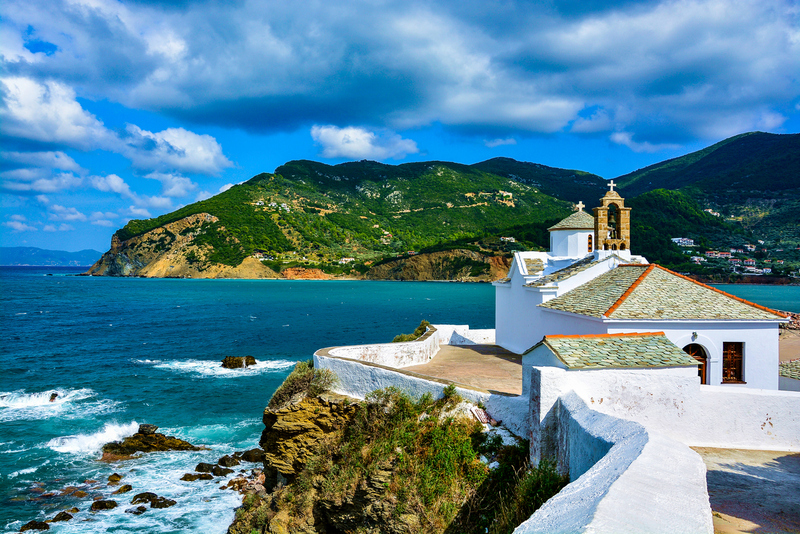 Skopelos is also famous for being one of the prestigious filming locations of the 2008 hit film, Mamma Mia! Take a visit to the Glossa area to climb the steep steps up to the iconic hilltop, Ekklesia Agios Ioannis Chapel and to take in the picturesque views over the glistening blue water. This thriving haven has always been popular for its vibrant nightlife, which sprawls through the streets and onto the stunning beaches. But, with larger resorts such as Zante and Kavos in Corfu taking front of stage, it has allowed Mykonos to settle down to offer somewhere a little more chic. 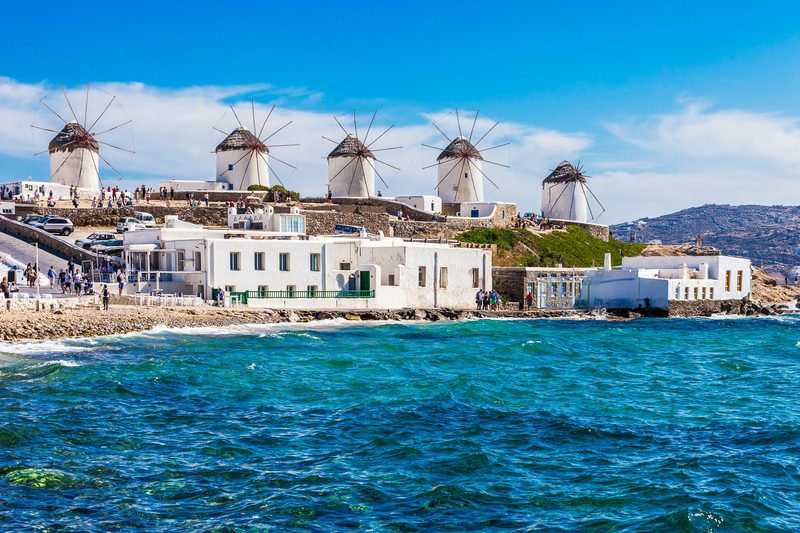 Enjoy the cosmopolitan charm of Mykonos where its cobbled streets intertwine and traditional windmills frame the hills. Mykonos is great for a holiday spent together with friends, where you can enjoy the watersports along Paradise Beach on the south coast and dance well into the evening. You can also explore ancient monuments in its main town, Hora and relish in the waterside charm of Little Venice. The Cyclades Islands and are well known for their serene beauty and stunning sunsets. Cruise around the Cyclades to enjoy authentic Greece, making sure you stop off in the natural setting of the fragrant olive groves and fig trees that consume Naxos. Perfect for couples, Naxos is small enough to explore on foot, where the idyllic Old Town, Kastro and the lovely fishing harbour can be experienced at your leisure. 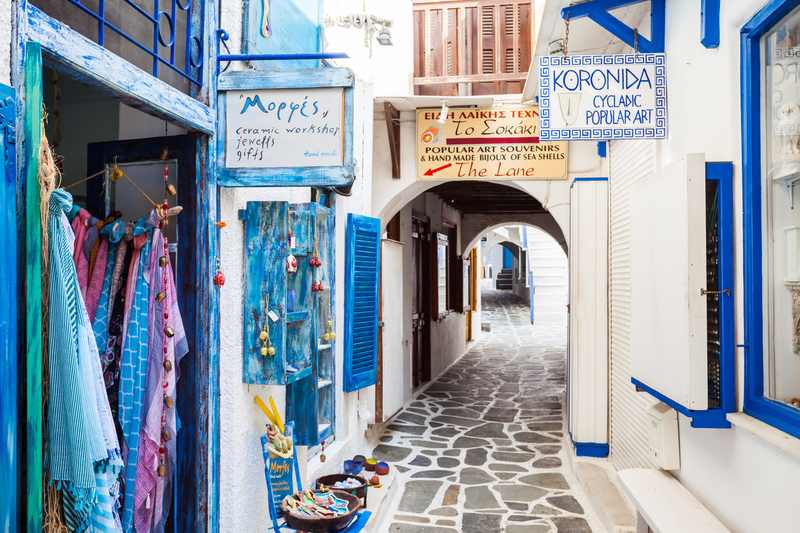 Naxos has plenty of traditional tavernas where delicious Greek food can be enjoyed in the new town. But what is most impressive about Naxos is the ancient Greek temple ruins which can be explored through the steep landscape. Discover an abundance of fortified towers, archaeological finds in the Museum of Naxos and the ruins of the Temple of Demeter which dates back to the 6th century. As well as Naxos, take a boat trip to Ios and Paros. Both areas are well worth a visit for its rocky landscapes and stunning beaches. Just a short boat ride away, you can find romance on the authentic Greek paradise of Santorini. If you’re still unsure where to visit on your next holiday, why not discover more of beautiful Greece? Next Next post: 6 BEACH HOLIDAYS WITHIN 4 HOURS OF IRELAND (OR LESS)!